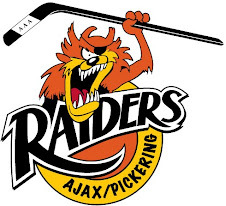 Follow the Ajax-Pickering Raiders, a Bantam "AAA" team (2010-11) from Ontario, Canada as they travel throughout the Czech Republic, Austria, and Germany playing European minor hockey teams in tournaments and exhibition games. Ron and Suzette posing with a close family friend outside the salt mine. Three Stars: April 20, 2019 - Ottawa 67's teammates Sasha Chmelevski and Graeme Clarke joined Saginaw Spirit overtime hero Ryan McLeod as Saturday's OHL Three Stars. Mark, Margaret, Vern, Doris, Ron, Suzette, Jeff, Colette, Alex, Susan, Davis, Judy, Jackie, Rob, Karl, Suzanne, Cal, Mary-Leigh, Jim, Pauline, Brian, Kim, Andy, Cathy, Rob, Kelly, Don, Loretta, Joe, Donna, Ron, Sue, Ron, and Valerie.